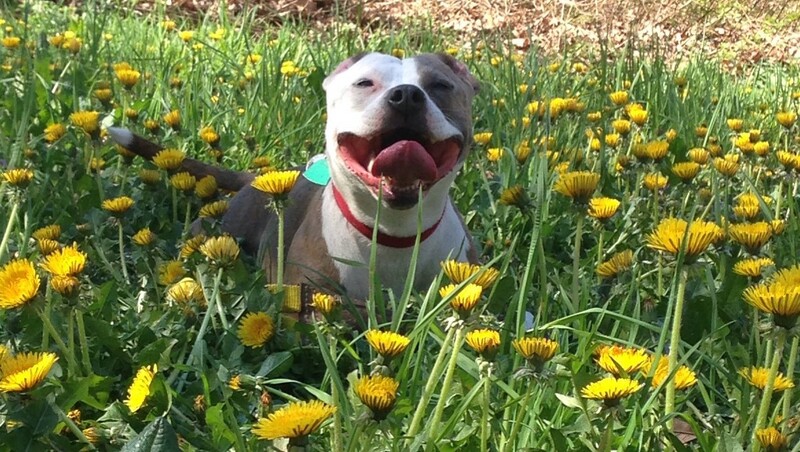 "We rescued Luna, a mini pitty, from the streets of Brooklyn in September 2013. She was approximately three years old and Luna actually ran into my arms. It was obvious she had been out on the street for a while. 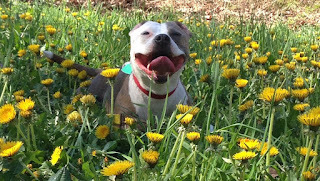 Our house sits on Brooklyn’s Highland Park on a dead-end and cruel people abandon their animals here all the time. Over the 10 years of living here, we have grown a network of caring animal rescue organizations and people who are always ready to respond when a critter is left on our stoop or tied to a tree in the park. Luna was diagnosed with a mast cell tumor in July 2015, and surgery was done in early August 2015. I reached out to Ask Ariel for recommended supplements, and Luna was placed on several at the time, but is now down to just two- Immune Harmony and the Resveratrol for Dogs. Thank God, she has been healthy with no recurrence. Luna now lives a happy life with her stepsisters Sadie, and Kat, as well as stepbrothers, Wayne, and Cisco. We even recently rescued 2 chickens from the parkway who live harmoniously with all the other critters and give us our daily eggs! As our pack grew, my spouse was moved to get certified and become a professional dog trainer. He founded Brooklyn's Finest Dog Training in 2014. Because of our up close and personal experience he has chosen to specialize in rescued dogs, especially those with issues."